Spend productive time this season by acquiring professional level Art Skills! Beautiful Sunset is always a fascination to paint. Learn impressionistic style acrylic paintings with step by step guidance for beginners, teaching basic painting styles, strokes and techniques to help you discover the artist within. Courses are including all the material. 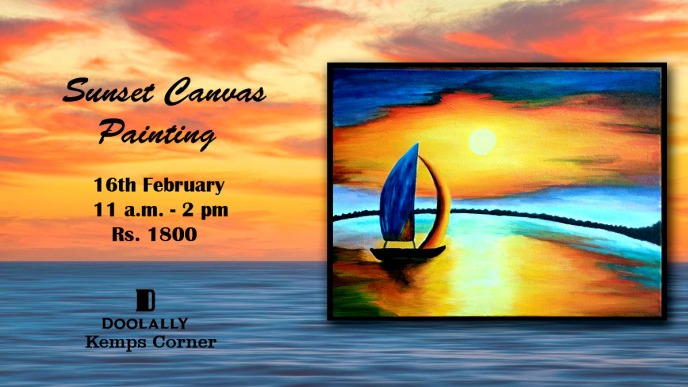 Share "Sunset - Canvas Painting"